Joseph (Joe) L. Heisler, Jr. of Kansas City, MO, passed away March 30, 2018 at the age of 83. Joe was the only child of Joseph Heisler and Katherine Trimble Heisler, born February 1, 1935 in Charlestown, MD, where his forefathers had a long history of being Chesapeake Bay Watermen. Later growing up in Philadelphia and graduating from Radnor High School in Wayne, PA, Joe developed his lifelong interest in Eastern Big Car Racing. He was recognized within racing circles as the most knowledgeable person of Eastern Big Car racing history. Joe would qualify that to read before 1965. He could recall from memory starting and finishing positions by car number, drivers and color; even knowing the weather conditions of the particular day. Joe was an early member of the Checkered Flag Fan Club and in the late 1950’s wrote The Sprinter newsletter. He belonged to the Society of Automotive Historians, AAA, USAC, URC and Antique Automobile Club of America, where in later years he would announce the antique race car event at the Hershey AACA National Fall Meet. He was a longtime member, Board Member and Historian of the Eastern Museum of Motor Racing in York Springs, PA. He was instrumental in helping to establish EMMRs Chris Economaki Research Library. 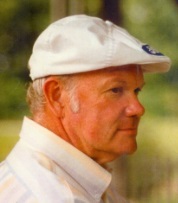 He wrote numerous articles for car club publications and his 1965 Car Life magazine article on the Miller Ford racers has been often quoted in Ford racing publications. Drawing from his personal collection of race history documentation, he contributed to race history books written by numerous authors and helped many antique race car owners with data on their cars. Joe enjoyed providing driver resumes for family and interested parties of the Big Car racers of the 1930’s and 1940’s. He loved antique cars and restored a 1929 Big Car and a 1940 American Bantam. Following graduation from Harvard in 1957, Joe began a 40 years career with Ford Motor Co. which was spent entirely within Ford Division-Sales. During that time he held management positions in Washington, DC, San Jose, CA, Portland, OR, Jacksonville, FL, Kansas City, MO, Detroit, MI, and Philadelphia, PA. Following his retirement in 1998 he and his wife Debra lived in Hershey, PA until their move to the Kansas City area in 2013. Joe is survived by his wife, Debra Powell Heisler; son, Joseph L. Heisler III and wife Kathy of Glen Rock, PA; Debra’s sons, Chad Irby and wife Denise of Chesterfield, MO and their children, Nolan, Aidan, Emilyn, and Chet Irby and wife Michele of Lawson, MO and their daughter, Clarabelle; and brother-in-law, Daryl Powell of Lathrop, MO. A celebration of life will be held at a later date. Memorial donations may be given to the Eastern Museum of Motor Racing, PO Box 688, Mechanicsburg, PA 17055.